Mersal 2nd Day Collections 2 Days Mersal 1st Thursday Box Office: Ilayathalapathy Vijay has released his new movie and it’s ruling at the worldwide BO since its release (opening). It witnessed an earth-shattering business and earned Rs. 31.3 crore on its first day of release. In India, it got around 2500 screens which is a huge number. But, it opened with a mixed bag of reviews from both critics and audience. The film registered a good business at the Tamil Nadu BO. The trade estimates and analysts are suggesting that it will break many more records. It collected Rs. 1.5 crore in Chennai alone and has beaten the Vivegam collections of Rs. 1.21 cr along with Rajinikanth’s Kabali Rs. 1.12 cr. Not only in India, Vijay’s Marsel has done an extraordinary business overseas. It raked in Rs. 68.01 lakhs in Australia, Rs. 90.31 lakhs in Malaysia, Rs. 2.25 cr in the US, and Rs. 81.08 lakhs at UK box office on Wednesday. Keeping an eye on the hype surrounding the film, it looks like the business will further increase on its second day as Vijay’s fans are going crazy around the world. Atlee, who earlier directed Theri, has directed this film too. Baahubali’s writer KV Vijayendra has co-written it with Prasad S Ramana Girivasan, and Atlee. It stars Kajal Aggarwal, Nithya Menon, and Samantha Ruth Prabhu as the female leads. SJ Suryah, Sathyaraj, Vadivelu, Kovai Sarala, Sathyan, and Rajendran have played the supporting roles. Surayh is the big bad (antagonist) in it. Oscar winner AR Rahman composed the music. Thenandal Studio Limited has produced the film. 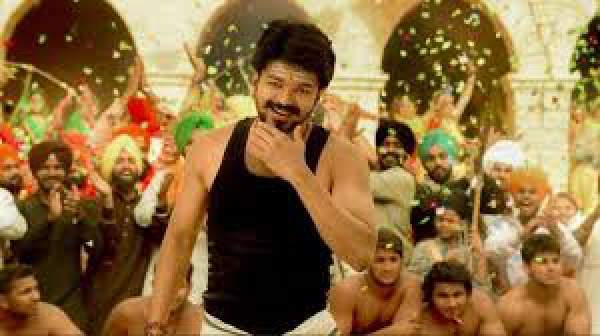 Mersal has been the most expensive film in which Vijay has been a part of. The total budget has been Rs. 120 crore. The success of the movie can be counted as it minted Rs 150 crore in the pre-release business. Related: Secret Superstar 1st day collection.